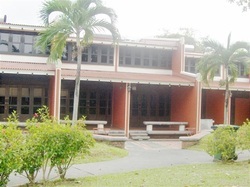 60 Pasir Ris Drive 3, Singapore 519497. 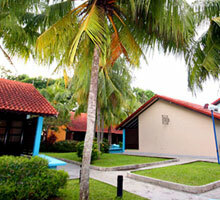 Indulge in leisurely rewarding weekends or holiday getaways at the Aranda Country Club's Executive Suites. The Executive Suites comprise of 30 units of elegantly furnished and complete with modern amenities. Each Executive Suite occupies approximately 1,550 sq feet of luxurious accommodation and equivalent to a standard executive flat, available for you and your family's enjoyment. "To make your stay more enjoyable, we have included BBQ facilities and catering services specially tailored to your needs." Every Executive Suite is fitted with two bedrooms with attached bathrooms, a large living room, balcony and a pantry. 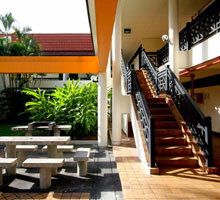 Located in the east, Costa Sands Resort (Downtown East) remains a popular choice holiday destination for Singaporeans looking for a quick getaway. The resort’s popularity has also grown in terms of new facilities and amenities added to offer guests a home away from home. After enjoying a speedy check-in through self-automated kiosks, guests can enjoy a range of activities such as exploring the resort, having a BBQ cookout, swimming, enjoying fun time at Wild Wild Wet or bowling. Alternatively, they can relax in the comfort of their air-conditioned rooms equipped with a television set, DVD player, free Wi-Fi access, and other amenities. Some 349 rooms are available over four room categories. Deluxe Rooms, Deluxe Plus Rooms and Family Suites available from August 2010, and Dormitories available from September 2010. 159M Jalan Loyang Besar, Pasir Ris Park, Singapore 509404. Located within popular leisure attraction Pasir Ris Park, Costa Sands Resort (Pasir Ris) promises you an unforgettable getaway from the hustle and bustle of the city. A relaxing stay here is guaranteed for families or groups of friends, who can take their pick of facilities and amenities at their disposal as they unwind in cosy rooms, shoot some pool or enjoy social gatherings like BBQs. Families, in particular, will appreciate the special range of amenities which encourage the young and old to enjoy activities together. They include a children’s pool; a bicycle kiosk with adult mountain bikes and children’s BMX bikes for rental; adult and children’s inline skates; group BBQ areas and more. 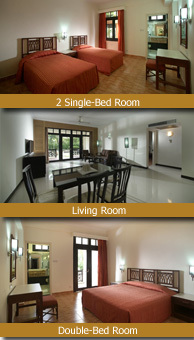 In addition, a comprehensive range of other facilities are also available – both within the resort and a short walk away. Favorite location for local families for their outings and celebrations; serving over 200,000 local persons every year.